As October comes to a close, novelists-in-the-making are sharpening their pencils (or more likely charging their laptops) in preparation for National Novel Writing Month. Each November, NaNoWriMo.org encourages writers to deliberately schedule time to ink some pages. They’re also now giving us the tools to help our students – and maybe even ourselves – take on the challenge. 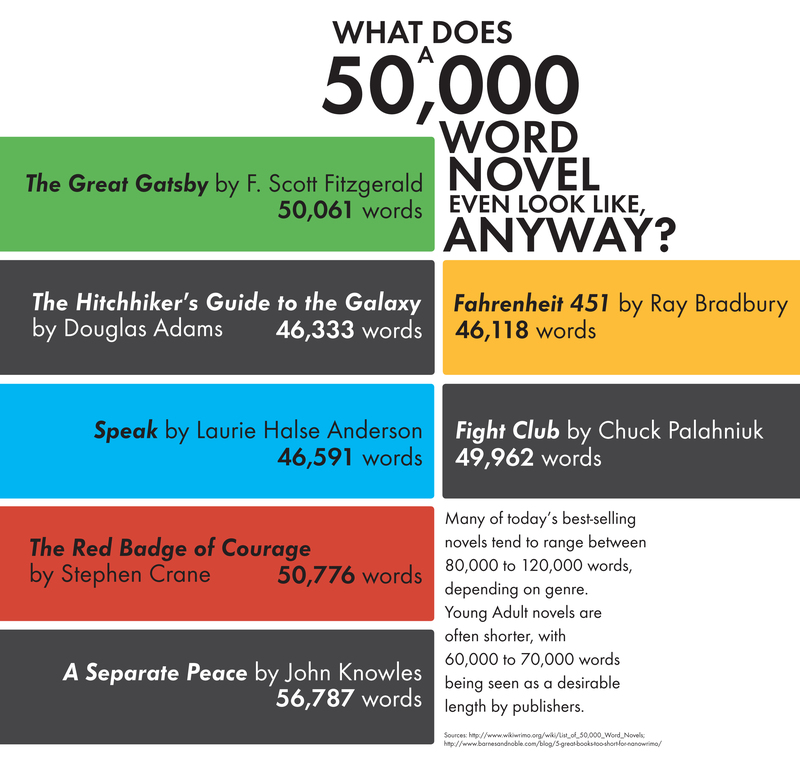 NaNoWriMo suggests setting a 50,000-word goal, which works out to just under 1,700 words a day. But no matter how long the book ends up being, the idea is to stop procrastinating and just WRITE THAT BOOK, ALREADY. Now I can’t dedicate an entire month’s curriculum to novel writing (and only about three of my 105 freshmen would want me to), but we can still encourage the next gen of John Greens to get to it by sharing the NaNoWritMo.org site and free writing guides. Think of it as home study. Each workbook includes writing exercises and examples, a daily word-count goal sheet (rather pleasing to the Type-A taskmaster side of my brain), editing tips, advice about submitting an excerpt to publishers, and tons of encouragement. The lesson plans take the same materials and include super-helpful pacing and script suggestions. You could save this useful curriculum for a summer writers’ workshop, chop it up to use bits and pieces in a creative writing unit, and/or share it with your school’s literary magazine staff/writing club. I’m going to email a few copies directly to my eager writers and also save this for any 20Timers who decide to tackle a work of fiction this spring. And don’t worry about feeling obliged to actually read any of those novels. The NaNoWriMo folks don’t read any of the submissions and neither should you – unless you really, really want to, of course. Me? I don’t, so here’s my move. Each year, I always have at least one especially eager student who wants me to critique his novel. It’s usually fantasy and it’s usually really, really long. Part of me is thrilled to have a budding George R. R. Martin on my hands, but the exhausted working mom part of me knows there’s no room for “book editor” on my daily to-do list. Still, I’m a trooper and will happily give feedback – but only on three pages. George R. R. Martin Jr. is usually crestfallen when he realizes I’m willing to read/edit only a three-page excerpt, but artists need to learn to navigate disappointment and persevere, no? Hope the workbooks and/or lesson plans are helpful. Teach on, everyone! I am constantly impressed with your continued innovative and engaging ideas and lessons, and even more so that you have the time to share creative opportunities like these. As you know, I think everything that you create and share on TPT is amazing! I am in awe of how you find the time to teach so effectively, create so uniquely, and inspire so effortlessly.